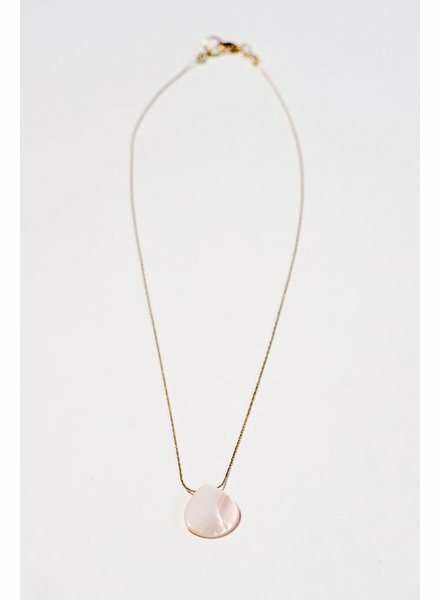 Flat, teardrop shaped faux blush colored pearl pendant on a short, thin, golden chain, measuring 16 inches in length. 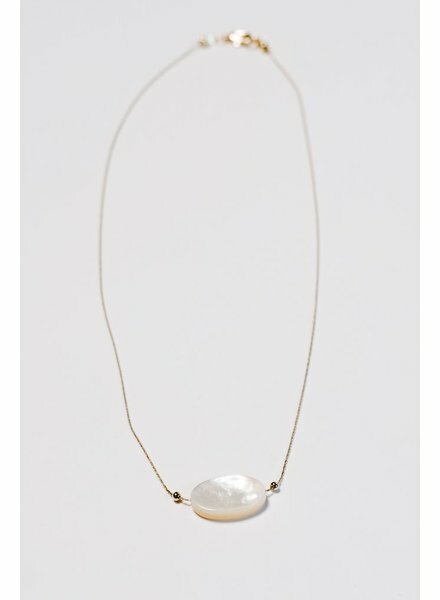 Flat, irredenscent, oval shaped faux pearl pendant on a short gold solid thin chain. Necklace measures 16 inches in length. Extremely light weight.